I went to an auction this past week hoping I might find something of interest and managed to come away with a print. The print comes from centuries past. It and one other are today’s focus – both of which reach back into our love of Greek literature. 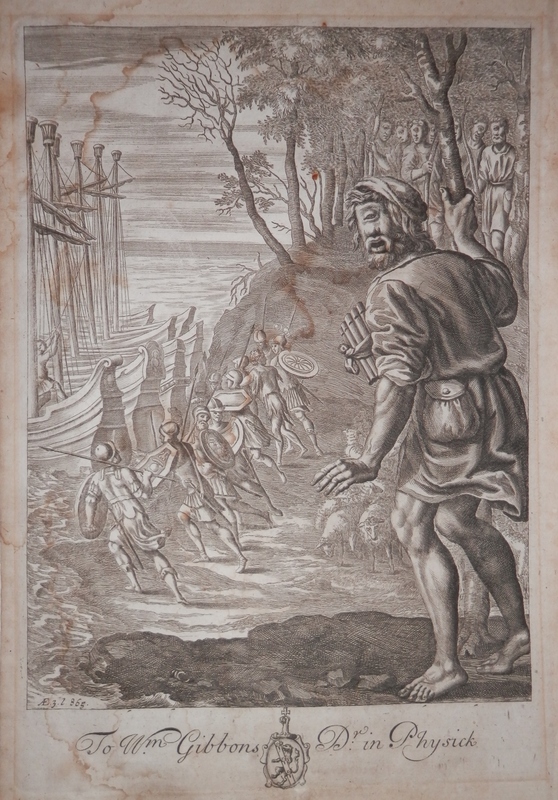 The folio page leaf is by #VaclavHollar and is related to the earliest English version of Virgil’s ‘Aeneid’. It was translated by John Ogilby. An immense undertaking and expensive also. To pay for this task, Ogilby sold subscriptions to the book. He solicited advance payment from wealthy patrons and in return, each patron’s name was inscribed on the bottom of a single plate. The engravings and etchings are a high point in seventeenth-century book illustration in England. Ogilby commissioned one hundred and three full-page illustrations from some of the leading artists then working in England: Francis Cleyn (illustrator), Vaclav (Wenceslaus) Hollar (etcher), Pierre Lombart, Ludwig Richer, and William Faithorne. The plates were created to accompany the first English translation of Vergil’s complete works, translated by #JohnOgilby . Artistic virtuosity and technical expertise abound in these folio plates. 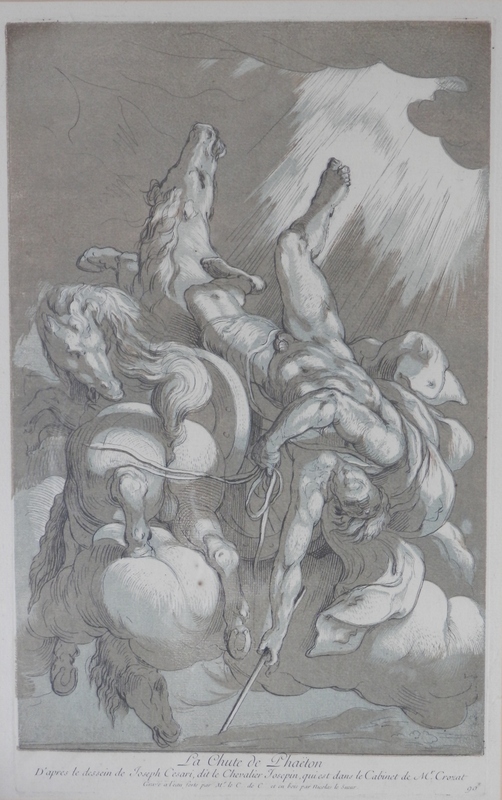 If you happen to be in Toronto, the University has a very fine collection of Hollar’s works. A superb woodcut which produces the black etched lines and then pressed with a brown wood block and then a green wood block. Cut by #NicolasLeSueur (1691 – 1764), the image is one of beauty. Amazingly engraved and finely pressed the page is a testimony to Le Sueur’s talent. The story goes that Phaeton wanted proof that he was the son of the sun god. He asked his father for some proof that would demonstrate his relationship with the sun. The god promised him whatever he asked. Phaeton requested to drive the sun chariot for a day. While driving the chariot, he was unable to control the horses and the earth was in danger of being burnt up. To prevent this disaster, Zeus killed him with a thunderbolt. Two recent and fine additions to my small collection. This entry was posted in Etching and tagged Aeneis, boats, chariot, cyclops, horses, island, Phaeton. Bookmark the permalink.